Love, love the floral jewelry! So beautiful. Thanks for stopping in! I love it also, was very happy to get my hands on so many cool pieces. why jess, i think your earrings are lovely. i want them all! i PARTICULARLY love the last pair. 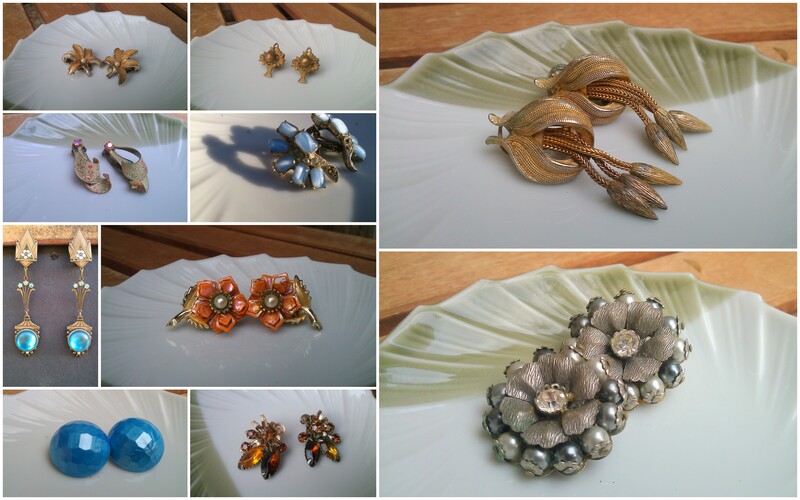 but am trying to divest myself of vintage earrings- not collect more! very tempting….